York House — a depressing spectacle in the heart of our Capital City. “A country that does not appreciate and protect its natural and cultural heritage is not deserving of nationhood” – Dr Keith Rowley Prime Minister of Trinidad & Tobago. (words to that effect). For the past 23 years, the mantra of the Willie Redhead Foundation has been: “the protection and enhancement of our natural and cultural heritage”. This proclaimed objective became our watchword and initiative, not for the sake of propaganda or self-aggrandisement, but because there was and still is, more so today than ever — as the need is now most apparent, in strengthening our (heritage) tourism product, which the economists say is about 25% of our Gross Domestic Product (GDP), and is, therefore, one of the main pillars of our economy in providing jobs, not to mention its intrinsic value in reinforcing our national identity. 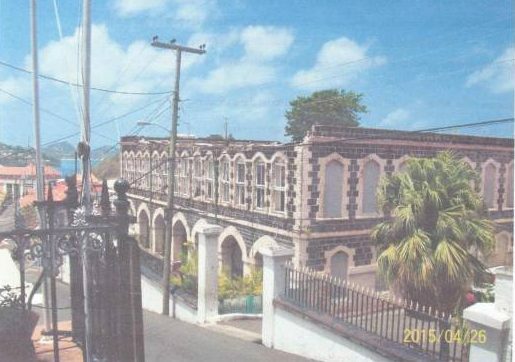 All the regional organisations: CARIMOS, ICOMOS, CDB and more recently CARICOM — through its cultural manager, have been emphasising “the need to capitalise, on the existing local and indigenous-built heritage which is an invaluable resource in national development.” Such local resource for example could include the fortifications of Grenada, Grenada vernacular architecture, rum distilleries, great houses, Janet houses, slave pens, village and rural historic formations, such as the Kalinago village at La Poterie, St Andrew and boat building in Carriacou and Petite Martinique (echoes of “Vanishing Sails”). All of these and more, could comprise a Community Tourism Sector, which could ignite the moribund rural economy,as opposed to imitating and mimicking the same glitzy multi-storey facilities in concrete and glass as obtained in first world countries; which are without appeal to our visitors from these destinations, who are eagerly expecting to savour an authentic local experience other than sand, sea and “Soca”. According to Dr Hilary Brown, Manager of CARICOM Cultural and Community Development, “… in spite of the tremendous rich tangible cultural heritage of the Region, only 6 CARICOM Member States have sites on the World Heritage list, which includes Belize, St Kitts and Nevis, Suriname, St Lucia and Haiti”. Since the publication of this list, Jamaica and Barbados now have nominations on the World Heritage list. Grenada has been making official and media pronouncements over the years, in trying to put together a proposal for nomination of a site(s) to UNESCO. The lack of success in this regard, is manifested in the absence of a genuine and sustained commitment on the part of government, despite signing international conventions; as the Ministry of Culture does not have a cultural policy and supporting legislation in place to move the process forward for the benefit of all Grenadians, in order to put our country on the world heritage stage, with its attendant economic benefits, global prestige, and clout in international cultural affairs. That said, there are the occasional ad hoc attempts, such as the current Museum Bill, which seeks to “acquire” the facility that has been operating for the past 40 years by patriotic Grenadians, without any assistance from the government. The question is, who advises government, which boasts of “participatory democracy” — on making these erratic decisions, without even acquainting or seeking ‘guidance’ from the persons who so successfully operate this important national (public) facility over the years? Before closing, attention must be drawn to the recent removal of the ornate cast iron balcony of a major Georgian heritage building at the corner of Granby and Halifax streets in the core of downtown St George’s. This building has been occupied for many years by George F Huggins’ Farm & Garden outlet. Heritage Month 2017 like the previous years (2015 & 2016), would be marked by the usual platitudes including statements in the print media and with radio and TV presentations. Nothing of significance will be accomplished, as Heritage and Culture are not part of our politico/economic DNA.